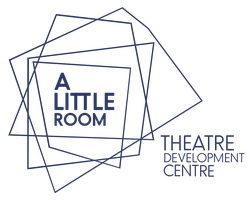 Open Call For Submissions - A Little Room, Theatre Development Centre - Waterford. January of 2016 saw the launch of a new Theatre Development Centre in Waterford City, based in Garter Lane’s building at No. 5 O’Connell Street. A Little Room is a space dedicated exclusively to theatre development. It is open to practitioners from Waterford and beyond to come and spend a month developing work in a free and professional space. The only rent they will pay is to share their experience through a performance showing or discussion at the end of their residency. Thanks to Garter Lane Arts Centre and Waterford City & County Arts Office we launched the space back in January of 2016 with the first of twelve month-long residencies. We host a public showing of the works-in-development on the first Tuesday of every month and present the resident artists with an opportunity to showcase their work, receive informed and structured feedback and discuss their process. These sharings will be open to the public and free. A Little Room has been established by Nicholas Kavanagh and Ronan FitzGibbon as a non-for-profit resource for the theatre community in Waterford and the region as a whole. The aim is to provide practitioners with a space free from financial constraints and without the pressure to produce a finished work. It is a nursery for ideas and practitioners. A place where people can feel free to be brave, follow their instincts and push the boundaries of their practice. This is a place for the artists. Somewhere for the inexperienced and seasoned. It is a place to take risks, to trust ourselves and each other. A place to just do what we do. Because, sometimes, all you need is A Little Room. Come and see what's going on in Garter Lane on the first Tuesday of every month. Or get involved by downloading our residency application here. *Access to the auditorium is likely but not guaranteed. Access to technical equipment and staff is limited. Site & contents Coypright A Little Room 2019.